In 1991 Mr. Teja Singh came to the United States with a dream to start a business and provide a better life for his family. With farming being his main business in India, he had very little knowledge about trucking in the US. He decided to move to Fresno, CA because of the climate similarities to his home state of Punjab, India. After getting his Commercial Driver's License (CDL), he began to drive long haul for his uncle's trucking company which was based out of Bakersfield, CA. His main emphasis was hauling produce from the west coast to the east coast. He realized that this was a niche in the trucking industry and required special attention to make sure the perishable freight was handled properly. After learning the industry, Mr. Singh decided to buy his own truck and become an Owner Operator. Soon after he realized that most of his friends and colleagues were having a difficult time with getting directions and load information due to the lack of communication of two different cultures and the language barrier. He realized that while helping others, he was actually dispatching other trucks and this led to customers contacting him directly because of his communication skills with the other truckers. Shortly after, Mr. Singh opened up an office in Fresno, CA and started signing up Sub-haulers and getting them produce loads under his new company, Dosanjh Truck Lines. The new company soon had a lot of sub-haulers signed up and was on its way to starting a new method of trucking in the US. 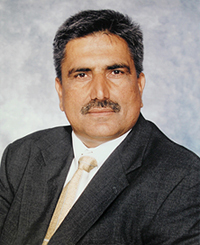 In 2003, Mr. Singh’s son Lakhvir (Lucky) Singh joined the company and worked in the billing department while he was attending a local college in Fresno, CA. Mr. Singh’s dream was to put Lucky and his other son, Rupinder (Bobby) Dosanjh through college and have them both major in Business administration so they could one day take over the business. While working in the billing department at age 20, Lucky started having an interest in dispatching. Lucky had no idea that a tragic event in his life would have him soon taking over the business. His father, Mr. Teja Singh, while visiting Punjab, India on vacation in 2007 had suddenly passed away. This was a very sad and unfortunate event for the family and left Lucky and his family to make critical decisions for the business. So it became evident that Dosanjh Truck Lines had to keep going as per Mr. Singh’s dreams. Lucky decided to shorten the name from Dosanjh Truck Lines and started doing business as (DBA) DTL Transport. Business was fast growing and Lucky hired a few more employees to dispatch and book loads. He introduced Jaspreet Singh to the business and started training him. Jaspreet (Jass) soon became the guy all owner operators went to for directions and load information. The number of owner operators soon rose to more than 80. Lucky started booking loads and dispatching trucks from the West coast to the East coast and gave his brother Bobby the responsibility of bringing the trucks back to the West coast. Bobby had his work cut out for him as one of the hardest things in long haul trucking is finding freight from the East coast back to the West coast. Even with this hard task Bobby soon started performing well and had a good business relationship with customers and things started to flow smoothly for DTL Transport, Inc. The next step was to have a good accounting department and make sure that the company is paying all of its owner operators on time and receiving payments from customers as well. This is when Inderjit Singh came on board, besides being Lucky's brother-in-law , Inder had a good knowledge of accounting practices as he was an owner operator himself in the past and this experience allowed him to deal with the owner operators in a manner they were most familiar with. In 2010 Lucky decided that it was time to enter the corporate world and brought on Jasdeep (Jazz) Sidhu. For nearly 20 years Jazz had been in the automotive business and his experience included working with franchise dealerships that sold Audi, Cadillac, Ford, Hummer, Porsche, and VW brands. Lucky and Jazz decided that to learn the trucking business, Jazz had to go through the motions of dispatching, billing and booking loads. Jazz spent a year educating himself with the business and dealing with owner operators on a daily basis. In 2011 Jazz and Lucky decided that it was time to start a fleet. It was then decided, they had to move forward and make DTL Transport, Inc. an asset based company. So they purchased brand new Kenworth T660 trucks equipped with the fuel efficient MX motors and DEF technology and had a fleet of clean air certified trucks. Then followed with purchasing new 2013 Vans installed with 2012 Thermo King SB-230 refer units and registering them with California Air Resource Board (CARB) and acquiring ARB numbers to enter California and also have the trailers be clean air certified. As the company started growing and hiring more drivers, it was time to make sure that there was a safety plan in place for all OTR drivers. 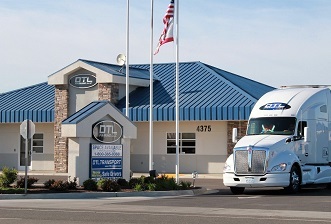 DTL Transport, Inc. welcomed Mike Souza to their team. Mike had been an owner operator in the past and been around the family trucking business since he could remember. Mike Souza took the role of safety and transportation manager and implemented new policies to make sure that all drivers are safe while on the road. DTL Transport, Inc. would like to acknowledge and thank all of its customers, drivers, employees and all people associated with its history. Remember "One Call Does It All".